New Delhi, May 2, 2018: The Union Public Service Commission (UPSC) has recently declared the results of Civil Services Examination, 2017 (CSE-2017). Durishetty Anudeep has topped the examination. Anu Kumari and Sachin Gupta bagged the second and third position respectively. Interestingly, top 10 rankers belong to 8 different states including Telangana, Haryana, Himachal Pradesh, U.P and Rajasthan. Traditionally, aspirants from across the country had two choices - either relocate to one of the select few coaching hubs or study from a local, typically sub-par teacher in their own town. The digital wave in India is enabling more and more aspirants to use technology for exam preparation. Let’s take the example of Ilma Afroz. She belongs to a small town named Kundarki in district Moradabad. At such a remote place, there are no options of quality education. Ilma used the help of technology. She assisted her civil services preparation with online courses from the ed-tech platform NeoStencil. Her grit, hardwork and use of technology enabled her to secure all India rank 217. Ilma is not alone. In this year’s results, 2 ranks in top 10 and 9 in top 100 ranks chose to study through online courses at NeoStencil, including AIR 3 and 9. Overall, 120 candidates were online students of NeoStencil, and more than 500 aspirants have successfully overcome the final hurdle of UPSC with the help of NeoStencil’s partner teachers - including their classroom programs. Such increasing number of selections from the online mode is a testimony to the fact that online classes for UPSC exam have emerged as a strong alternative to the traditional preparation methodology. Companies like NeoStencil provide aspirants easy and seamless access to the best teachers without the need to relocate or face the hassle of tiring travel. “We at NeoStencil are super excited that we were able to support students like Saumya Sharma in fulfilling their dreams of becoming an IAS officer. Technology is bridging huge gaps in the education sector in India and making countless dreams come true. It gives us immense satisfaction that out there we are solving the right problems for right people as our students from over 400 cities and small towns have accessed our online courses and half of them had annual parental income less than INR 300,000”. Last year over 100 selections in UPSC were our online students including AIR 5, 9.This consistent track record is a testimony to not only our live-learning platform but also the quality of teachers we enable on our platform. 120+ online selections in UPSC 2017 and 8 online students ranking in top 100 clearly show that we have been able to deliver what we have always promised - Top quality courses from top quality teachers and a seamless live learning experience” - said Kush Beejal, Co-Founder & CEO, NeoStencil. This is just the tip of the iceberg. If we consider all the toppers associated with NeoStencil, the most important fact that comes to light is that most of them despite not belonging to the major coaching hubs, were able to crack the exam successfully. They accessed various courses by India’s top teachers on NeoStencil platform, thus, ensuring that they do not miss out on absolutely anything required for effective preparation. Even students who reside in coaching hubs see value in online education. Saumya Sharma (AIR -9) chose NeoStencil’s online courses despite belonging to Delhi. Doing so, she was able to save time travelling to and from coaching centres, and waiting for teachers to start classes. “I enrolled myself for ethics test series by S. Ansari sir on NeoStencil. It was extremely helpful for me. Timely evaluation and feedback provided by Sir were instrumental in my selection. Also, as major coaching areas are very far from my home, NeoStencil proved to be a boon for me and I could access the tests right from my home”, says Saumya Sharma. In addition to online Ethics test series, Saumya also enrolled for online Interview Programme where she appeared for mock interviews with Swati Mahajan, another partner teacher at NeoStencil. Our consistent track record year after year shows that NeoStencil is able to solve a real problem faced by civil services aspirants. 100 online students in CSE 2016, and over 120 in CSE 2017 cement the fact that live, online, inclusive learning is the way forward to prepare for an exam like Civil Services. 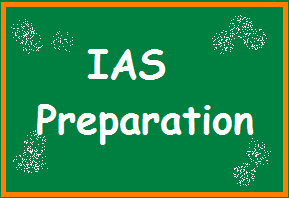 The increasing number of selections from online mode is a testimony to the fact that online classes for UPSC exam have emerged as a strong alternative when compared to the traditional preparation methodology. It provides the aspirants easy and seamless access to the best teachers without the need to relocate to big cities. While accessibility is one aspect, online platforms like NeoStencil have also made sure that not even a single aspirant faces any barrier when it comes to learning. Saumya Sharma benefited largely from NeoStencil’s online platform. Being physically disabled with a hearing impairment did not stop her from succeeding with flying colours and cracking UPSC 2017 with AIR-9.